Allegra Boverman/Gloucester Daily Times. 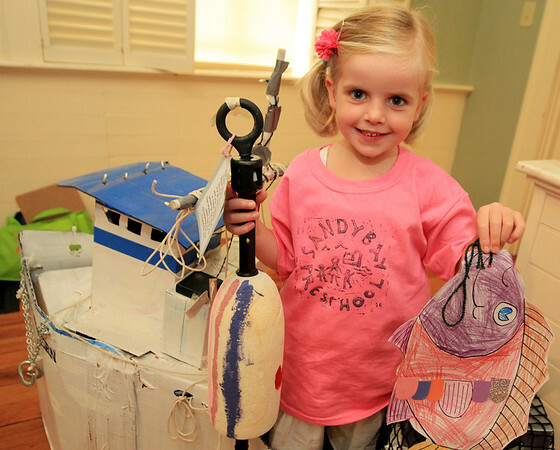 Annie Loring, 4, of Rockport shows off a buoy and fish she created following her graduation from Sandy Bay Preschool of Rockport on Tuesday. The event was held at Community House.